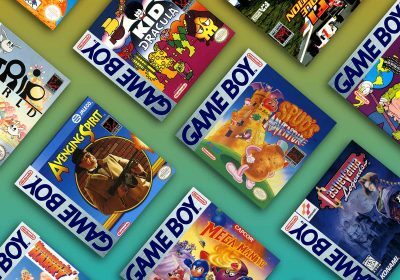 We’re continuing to update and expand our guides of the best cheap games for classic consoles and the N64 guide was very much in need of an update. 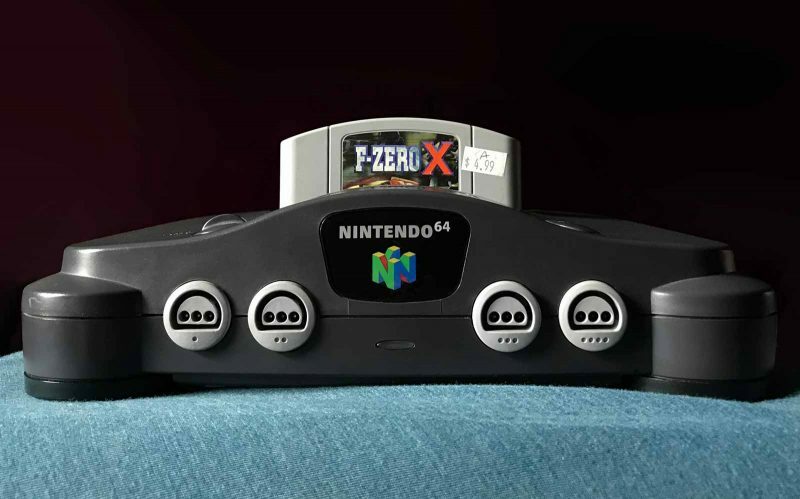 The N64 remains a very popular console on the secondary market, especially as those that grew up with it now are have more money to spend on collecting. Below you will find a lot of great games that you can still find for low prices. Personally, I’ve been picking up more of these games (I selfishly updated this so it could help me with my shopping) as my son expressed interest in wanting to try out the N64 and I didn’t have many games that were up his alley (I’ve also picked up a few more just for me). 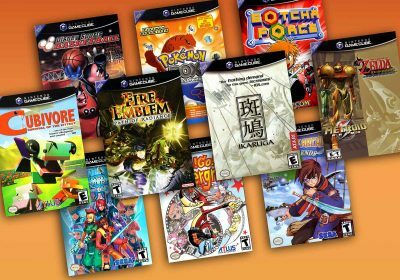 Even though we bumped up the dollar level from $10 to $15 in this revision, there are three solid games that got bumped from this list as they appreciated in value just a bit too much over the last few years. Despite being quite abundant, both Banjo Kazooie and Goldeneye 007 go for about $19 for a cart, and the hidden gem from Treasure, Mischief Makers, has risen to the $17 level (although my local store did just stock Goldeneye for $15). Still a solid value, but doesn’t quite make the cut. BTW, if it’s not apparent, I’m focusing on cart-only pricing, as that’s the most mainstream collecting method for N64 and the cardboard boxes are getting harder to find and vary greatly in value based on condition. The Star Fox franchise is an interesting one. If you’ve played the original game in recent years (or even it and Star Fox 2 on the SNES Classic) you’re realized how dated it looks. At the same time, the newer Star Fox games often move away from the core shooting mechanics. Star Fox 64, however has a pretty slick presentation while maintaining its pure shooting action. It is the preferred Star Fox game of the series when compared to it’s Zelda-like Star Fox Adventures, mixed-mission-type Star Fox Assault, and the DS version that requires awkward stylus controls. 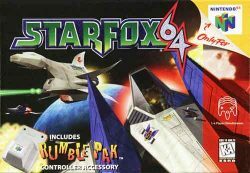 Star Fox 64 remains an affordable classic that is still one of my favorite N64 games. Interestingly enough, Star Fox 64’s mechanics and gameplay are similar to some classic vertical shooters. The N64 never had a proper shump released in the west, so for anyone who wants their fix of methodical bullet dodging and mindless shooting, Starfox is a great new twist on a simple genre. 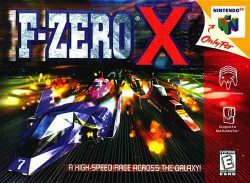 My personal favorite racer happens to be F-Zero GX for the Gamecube, but F-Zero X is the game that got me hooked on the series and many fans actually prefer it to its more shiny sequel. Both games are all about extremely high speed in futuristic racers, and at just a few dollars, you will have a hard time beating the thrill of this speed demon — even in the solid N64 racing library. I’ve recently spent a good time with F-Zero X and it is still an adrenaline rush and feels so rewarding when you get in the zone of hitting boosts and maintaining the risk/reward of using your ships energy (which is also used when taking damage) to maximize your racing. It doesn’t have the more thorough Story Mode and such of GX on the Cube, but it’s a great pick-up-and-play with minimal start-up times. Long live cartridges! 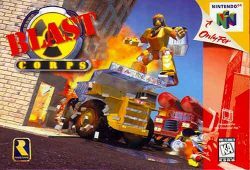 Released to very little media hype at launch, Blast Corps quickly won the hearts of N64 owners by offering a well-rounded combination of destructive gameplay and intelligent puzzles, topped off with a rocking soundtrack and good graphics. Blast Corps allows you to control a variety of vehicles and machines to clear out buildings and landscapes, making way for an out-of-control truck carrying nuclear missiles. While open-ended destructive abilities may show up in a number of more modern games, very few, if any have destruction as such a large percentage of their focus as Blast Corps. This favorite from the folks at Rareware is one of the best N64 games not to receive a sequel or remake, so it is an especially interesting game to pick up for the N64. Bottom line with this game: If you like Star Wars and you like flight-based shooters, you will like Rogue Squadron. Of course, the Gamecube follow-up is incredibly wonderful (and cheap ) as well, but it doesn’t negate the fun that you will have on this N64 original. At its core, Rogue Squadron is an arcade styled game that requires you to complete the current level to unlock the next. Level objectives vary from Search and Destroy, Rescue and Protect or Reconnaissance. 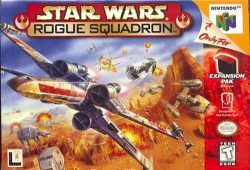 Rogue Squadron excels with it fast paced action and smooth control. The game also lets you pull of just about any maneuver you can imagine and relive all sorts of classic Star Wars scenarios. You get to blast your way through Imperial Walkers, TIE fighters and turrets. There’s also firing Proton Torpedoes to break off target and move on to the next, taking down AT-AT walkers with the Snowspeeder harpoon and blasting through the environment with the X-Wing S foils closed. Good stuff. Rare took the classic Goldeneye 007 engine to the next level with Perfect Dark resulting in one of the hottest games of 1999. 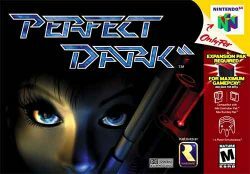 Not only did Perfect Dark max out the capabilities of the N64 and its expansion pack, but it also had a stellar story and some great weapons. The game was so good, even the XBox 360 sequel that was years in development couldn’t live up to the high expectations the original set in the minds of its fans. After a number of years, this classic is quite common and is one of the best values on the Nintendo 64. 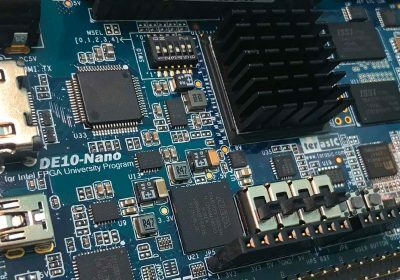 While the game itself is quite affordable, it is worth mentioning that some extra investment is required if you don’t already have an N64 Expansion Pack. Perfect Dark requires the Expansion Pak for about 90% of its content (story mode, 4-person multiplayer, etc). 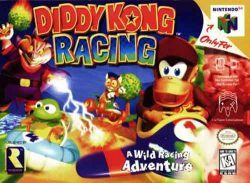 Mario Kart 64 might steal most of the spotlight in the Nintendo racing world, but Diddy Kong Racing is a kart racer that rivaled (and in some ways surpassed) its predecessor. It provided a solid adventure mode, and not only included karts, but also airplanes and hovercraft as usable vehicles. There’s also some other cool features like Boss Battle Races within its single player adventure mode, hidden items, and a cool open world lobby that you can cruise around in. The whole package made for a whimsical experience that is great for both kids and adults. 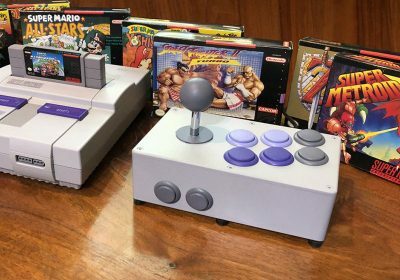 Just like its SNES counterpart, this flight simulator launched the console and showed just what the Nintendo 64 could do, and it makes for a soothing experience. Even if you’re not typically a fan of flight simulators, don’t write this one off immediately. Pilotwings 64 is also another one of those examples of Nintendo’s ability to transform a genre that typically has a niche following and deliver a fun experience for a wider range of gamers and avoids taking itself to seriously. The game features a wide array of flying contraptions utilize and secrets to unlock. Pilotwings starts with a series of pre-defined tasks to master, but also offers some great experiences of freedom as you dive into the game. 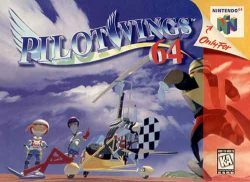 Pilotwings 64 has remained a fan favorite that has finally received a sequel on the 3DS (and a Wii follow-up was cancelled). 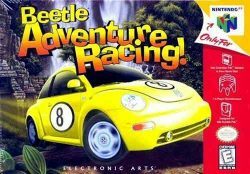 This surprising selection ran on the hype of the VW’s return in the late 90s and added nicely to the N64 Racing game library. It seems like an odd choice as one of the best N64 racing games, but it still remains as one of the most hidden gems that saw a rather wide release. Most gamers would just assume its just a boring licensed racer. However, BAR features amazing track designs with tons of shortcuts on each. The controls also handle beautifully, and despite the fact that the Beetles are the only cars in the game, the sense of speed is tremendous. There are so many ways to play the game, that you can play each track dozens of times and see something new every time. This amount of variance makes the game feel fresh. There’s also lots of solid content (including battle modes) that is unlocked along the way by collecting points from boxes along the way. 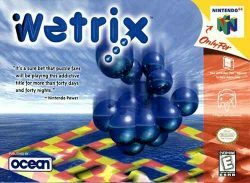 If you’re looking for a unique puzzle game for the N64 that also makes good use of its particular graphical strengths and weaknesses, Wetrix is a great choice. Wetrix is a novel twist on the simple block-based puzzle genre established by Tetris and is one of the few games of this type that works in 3D. It’s an addictive, but challenging game which rewards solid playing hours with the sight of rainbows and rubber ducks sprouting up across your lovingly crafted lakes. The multiplayer in Wetrix is one of the best of its kind, with a game between two good players being a highly enjoyable frantic dash to get ducks and evaporate water, while throwing earthquakes and ice at the other player to hamper them. A sequel, Aqua Aqua, was released for the PS2 but failed to capture the magic of the original. The Rayman series has been a reliable source of platforming goodness. The second installment in the series was its first venture into 3D, but it did so with great timing (sticking with beautiful 2D in the 32-bit era). 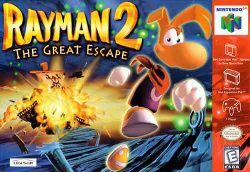 At the time of its release, Rayman 2 set new standards for what should be expected for the 3D platforming games and still remains one of the most loved platforming games of all time. While the game did receive ports on the Sega Dreamcast and Playstation 2 (among other later platforms) that enhanced graphics and added mini-games, the original N64 version still is a solid game and avoids the load times of the disc-based versions. All the later ports has undoubtably helped keep the resale prices of the N64 cartridge to affordable levels. Wave Race is another one of those great games that were made even better on the Gamecube, but Wave Race 64 holds up better than some others and is a great showpiece for the N64 — especially for its water design in this formative generation of 3D graphics. It’s not just a tech demo, however. 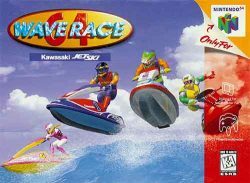 Wave Race 64 has some great controls and theres great tournament and stunt modes to keep you entertained. Yet another solid N64 racer. 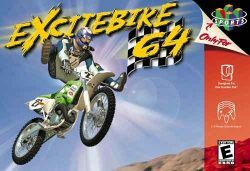 Like the classic game of the same name, Excitebike 64 is a dirt-bike racer — and is quite a good one. It features 20 tracks include indoor and outdoor courses, stunt areas, uphill climb challenges, licensed bikes and riders, a four-player multiplayer mode, and outstanding graphics. It really is exactly as you’d expect — Excitebike in 3D. Its a pretty solid example of 3D racing on the N64 and to this day, a good dirt-bike racer is hard to find. With all this in mind, Excitebike 64 is an excellent choice for those on a budget. Don’t be scared off by the Pokemon in the name if you never fell in love with the series. 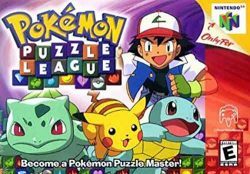 Sure, Nintendo added some Pokemon characters in the game, but at its core, Puzzle League (also known as Panel De Pon and Tetris Attack) is one of the best block-based puzzlers of all time. 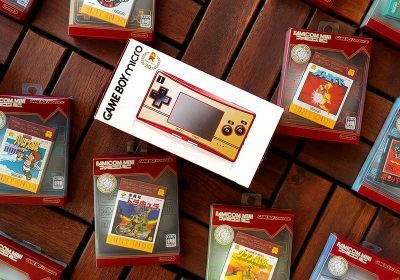 It’s risen in price in recent years, but its still a relatively small price to pay if you don’t have Tetris Attack on the SNES or Game Boy Advance. What the Nintendo 64 lacked in quality fighting games, it more than made up for in quality wrestling titles. AKI Corporation (now known as syn Sophia Inc.) made the best. 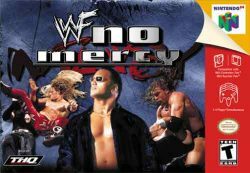 These games set the standard for many wrestling games to follow in terms of quality and combat systems, including new fighting systems, real arenas, and even adding in a Create-A-Wrestler mode with a deep library of wrestling moves. Most of the titles you can find for just a few dollars now. If you’re a wrestling fan, you can get lots of great value from the N64 library. 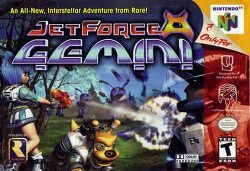 This third-person shooter gem from Rare is often forgotten by all but the most loyal N64 fans. It has a lot of strengths (characters, gameplay, theme, replay value) and holds up well over the years compared to many of its peers. If you enjoy old-school FPS games and you have an N64, this is a must-buy after Perfect Dark. This little-known gem still doesn’t get much attention despite having the animation quality of a Resident Evil 2 and the stealth tactics of Metal Gear Solid. 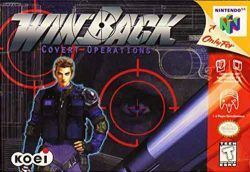 If you are a fan of these types of games and don’t mind somewhat dated graphics, Winback is worth investing in. Totally agree with most of this list. Pilotwings is still amazing even today. Hybrid Heaven is one of my favourite RPGs combat wise but is awful exploration wise. Also Blast Corps, Jet Force Gemini, Rogue Squadron and San Fran Rush are must-plays. Nice list… I’ve got most of these but the ones I don’t have are added to my wish list. Planning to get Star Fox 64. All that 64 bit goodness! Cool update. I was recently musing how DKR is one of the few 64 games I regret not owning, at this price I guess I have no excuse! Good to know! I haven’t tried the newer Perfect Dark port yet. And yeah, I’m kinda surprised that Diddy Kong Racing hasn’t increased quite as much. I guess it doesn’t have quite the nostalgic pull of Mario Kart 64. Great list! The N64 is by far my favorite console thanks mainly by Mario 64 and Zelda OOT, but I also played and liked many the games listed. 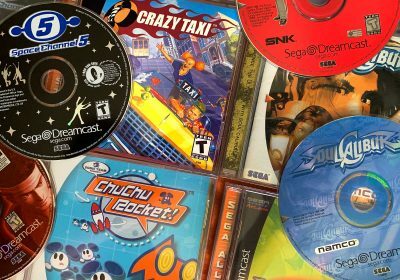 This list reminded me of the many friday afternoons after school playing WWF No Mercy with 3 more friends, or renting multiple times WinBack, Beetle Adventure Racing or Mission Impossible (a guilty pleasure of mine). It may not have a lot of games like the SNES had, but personally I had the best experiences and memories with the N64. Yeah, I don’t see myself building a large collection of N64 (especially since I personally don’t have much nostalgic attachment too it), but I think at the prices of the hardware and many of these games, its a great piece to casually add to your collection and scoop up some classics and other interesting titles that were hallmarks of the era.